Organs and various systems of the human body demonstrate incredible design and complexity. However, those organs and bodily systems would be unable to function without the supportive network of connective tissue. Consider how ineffective the circulatory system would be without a rigid framework to maintain support. Gravity would reduce the human body to a mere mass of tissue, making normal circulation impossible. Soft tissues, such as organs, must be held in place and protected in order to function properly. The connective tissues responsible for these important tasks are bone, cartilage, fatty (adipose) tissue, and other fiber-bearing tissues. The muscular system works in conjunction with the bones. Tiny muscle cells combine in orchestrated fashion to form muscle fibers, which can produce action by synchronized contraction (See Figure 4). Muscles of the human body range in size from large muscles in the legs to tiny muscles that control the iris of the eye. The entire system, which works in conjunction with the skeletal system, is dependent on the nervous system for input and regulation. Both of these systems also depend on the circulatory and respiratory systems for oxygen and nutrients. Without all of these systems working together the human body would not function properly. The question then arises: from whence did these supportive features originate? And who arranged the seamless connectivity between all of the body’s systems? Evolutionists maintain that the human body is not intelligently designed. However, the inspired psalmist observed: “Know that the Lord, He is God: it is He who has made us” (100:3). In this final segment on the intelligent design of the human body, consider that all of the complex systems are needed in order for individuals to maintain their normal walk of life. These complex systems cannot be explained by evolutionary theory. Evolutionists defend their theory using the fossil record, often ascribing enormous significance to miniscule bone fragments. Tiny variations in bone structure often result in claims for an entirely new species of “fossil man.” But what knowledge do we possess about skeletal bone in the first place? The story often told by evolutionists is that bony structures first evolved in fish known as Agnathans. Most evolutionists contend that these jawless fish were the first vertebrates—supposedly living 500 million years ago. One such scenario alleges: “The most efficient way to swim was to wriggle from side to side. This style of motion was made more effective by having hard parts inside the body. These hard parts began as fluid-filled spaces which later accumulated minerals to take the form of bones” (Stewart, 2005). These fluid-filled spaces just “accumulated minerals to take the form of bones”? Certainly sounds easy enough. But this simplistic (textbook-like) description in no way mirrors the complex protein cascade known to occur. Today we recognize that the formation and maintenance of bone tissue is an enormously complex process that entails at least four specific types of bone cells. In addition, skeletal tissue requires various minerals, vitamins, hormones, and input from other systems of the body, such as oxygen, water, and nutrients from the circulatory and digestive systems. Its interdependence with other systems places the skeletal system in an interesting chicken-or-egg scenario. Without the circulatory system and digestive system in place, bone formation could not take place. However, those systems require the rigid framework of the skeletal system for support, protection, and locomotion. A loss of any of these vital components would result in physiological abnormalities of the skeletal system and negatively affect other body systems. Vitamin D has many functions within the body but the most important...is its ability to tell the digestive system to absorb calcium. If the body doesn’t efficiently absorb calcium then there won’t be enough raw material for the bone cells to use when they try to form bone. How do we know this? Well, modern medicine is very familiar with various forms of Vitamin D deficiency syndromes which can cause severe disability and even death. Therefore, by extrapolation we’ve come to realize that if there were a total absence of Vitamin D activity in the body, we would not be able to survive (2003). What good would it be for the liver to be able to start the activation process of Vitamin D if it hadn’t first produced the Vitamin D transport protein so that the Vitamin D could come to the liver in the first place? And what good would it be if the Vitamin D transport protein was able to transport Vitamin D, but the liver couldn’t start the activation process? And when did the kidney develop its ability to apply the final activating step without which Vitamin D activity in the body would be so reduced that intestinal absorption of calcium would be seriously hampered to the point of certain death? (2003). So how were those “early fish” able to orchestrate such a precise pathway in just the right manner? Why would they go through the trouble in the first place? Would it even be statistically possible to grow living bone through a series of random chance events? The answer is a resounding no! The human body is composed of 206 bones ranging in size from long bones such as the femur of the leg (see Figure 1), to tiny bones such as those found within the inner ear (Van de Graaff and Fox, 1989, p. 205). At birth, the human skeleton contains approximately 270 bones, 64 of which fuse together as ossification takes place during normal growth. The word “skeleton” is derived from the Greek word skeletos, which means “dried up” (see Oxford Companion..., 2001, p. 622). Because of that “dried up” appearance, many people consider bone to be simple inorganic deposits of calcium and phosphorus. Yet, there is an active living component involved in bone as well. As David Cannatella noted: “Bone is a composite of inorganic calcium phosphate crystals (hydroxyapatite) and organic collagen fibers. The mineral content of a bone like the mammalian femur is about 67%. The mineral gives rigidity and the collagen resists tension” (2001). 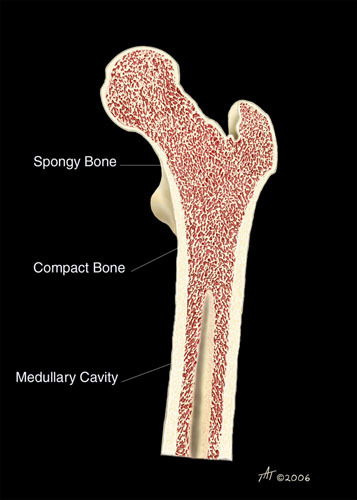 The living portion of bone is able to manufacture blood cells from within its marrow. A close inspection of the functions of bones quickly reveals they are far from just a dead deposit of minerals. When our muscles move us about, they do it by working a series of articulated levers that make a most efficient use of every ounce of muscular motive power. The levers are the bones of the body’s framework, fitted together with the neatness of jigsaw pieces and hinged by joints that must win the admiration of any mechanic (1960, p. 25, emp. added). In addition to lever action, consider the various joint actions the skeletal system facilitates. The human body contains gliding, hinge, pivot, condyloid, saddle, and ball-and-socket joints (Oxford Companion..., p. 413), which allow a full range of movements. Also, the coccyx flexes anteriorly act as a shock absorber (Van de Graaff and Fox, p. 234). Levers, hinged joints, and shock absorbers? These sound like engineering feats. The question should be raised: Who was the ultimate Engineer who designed these actions? Support—Consider how ineffective other bodily systems would be if they could not rely on the rigid framework of the body’s skeletal system. Wayne Jackson compared the human skeletal system to the “interior framework of a house” (2000, p. 21). Imagine trying to hang drywall or build a sturdy roof without the proper framework. In his book Body by Design, Alan Gillen observed: “Our skeletal frames are more than just scaffolding that holds us erect; they serve as the structures upon which we hang all that we are. Our bones are the anchors to which muscles attach, and they act as the levers and fulcrums for our daily activities” (2001, p. 41). Most of the density and strength of the skeletal system results from the inorganic components. Consider that the skeletal system must be able to bear the weight of the entire body (even during periods of stress or locomotion). These attributes are due to the composite matrix that makes up bone. When your body makes new bone tissue, it first lays down a framework of collagen. Then, tiny crystals of calcium from your blood spread throughout the collagen framework. The hard crystals fill in all the nooks and crannies. Calcium and collagen work together to make bones strong and flexible (see “Healthy Bones...,” n.d.). Laying a framework indicates organization and purposeful activity. This complex process is accomplished by the composite integration of both organic and inorganic tissues—something evolution cannot explain. The brain, the central processing unit of the body, is housed in a protective covering known as the cranium. Soft organs such as the lungs, heart, liver, and spleen, are housed within the safe confines of the rib cage. The pelvic viscera also are housed in a safe cavity surrounded by the bony pelvic girdle (Moore, 1992, p. 243). An unbiased observer recognizes this special protection as the product of careful design. Hemopoiesis—At birth, humans produce red blood cells in the spleen and liver. Interestingly, this production of blood cells shifts to bones as humans develop and mature. The platelets, along with red and white blood cells, all are synthesized in the red blood marrow of bones (see Figure 3). This is one reason many diseases are currently being fought with bone marrow transplants—in hopes that this new tissue will be able to combat specific conditions. However, the production of these cells is not haphazard on some “assembly line.” As Bruce Alberts and his colleagues noted: “Thus blood cell formation (hemopoiesis) necessarily involves complex controls in which the production of each type of blood cell is regulated individually to meet changing needs” (Alberts, et al., 1994, p. 1164, emp. added). Those “controls” indicate a feedback loop with an elaborate series of steps involved in the production of blood cells—a scheme which is better explained by the Creation model. In discussing the ability of bone marrow to make blood cells, Van de Graaff and Fox observed: “...[A]s bones mature, the bone marrow assumes the performance of this formidable task. It is estimated that an average of one million red blood cells are produced every second by the bone marrow” (p. 207). So exactly how can evolutionists explain the origins of the circulatory system, which is dependent on bones for the manufacture of blood cells, while the skeletal system could not have come into existence without nutrients from the circulatory system?! As Van de Graaff and Fox noted: “The development of bone from embryonic to adult size depends on the orderly processes of mitotic divisions, growth, and the structural remodeling determined by genetics, hormonal secretions, and nutritional supply” (p. 214, emp. added). The only logical conclusion is that the design from these two complex systems required a Designer and Creator. Mineral Storage—Another important function of the skeletal system is the storage of inorganic material (minerals) that are essential for other bodily functions. When humans ingest calcium and phosphorus, approximately 90% of those minerals are stored in bones and teeth. These minerals give bones their rigidity. However, these minerals pose a serious problem for evolutionists. The vertebral skeleton is composed of calcium phosphate rather than calcium carbonate that is found in invertebrates (Ruben and Bennett, 1987, 41:1187). How did vertebrates evolve this different composition of mineral storage? Multiple functions, and yet the skeletal system performs each of these tasks seamlessly on a daily basis. As Brand and Yancey observed: “Perhaps an engineer will someday develop a substance as strong and light and efficient as bone, but what engineer could devise a substance that, like bone, can grow continuously, lubricate itself, require no shutdown time and repair itself when damage occurs?” (1980, p. 91). The bone-forming cell is able to put down a firm mesh consisting of protein in which it then deposits crystals containing calcium phosphate. The bone breakdown cell is able to undue [sic] what the bone-forming cell accomplishes. They are constantly working together to develop and remodel the bone. In addition, there are two other bone cells that help the bone-forming and bone breakdown cells survive by separating them from the bone marrow and the body’s circulation and help them obtain water, nutrients and oxygen from the bloodstream. Remember, every cell in the body requires these basic components to live. So the bone cells themselves are dependent on the systems in the body that provide them with these vital necessities for life. Systems such as the gastrointestinal tract for absorbing water, calcium and the raw materials for protein mesh formation and energy production, the lungs and red blood cells for bringing in needed oxygen, and finally, the heart and the circulation for bringing all of these necessary components for survival and function to the site for bone formation” (2003, italics in orig.). Did the osteoblasts (bone forming cells) evolve first, or the osteoclasts (bone erosion cells)? Both are needed for bone formation and maintenance. Necessary, but dependent—this is one of the best descriptions of the human skeletal system. Without it, life could not function as we know it. But its very existence is dependent on the circulatory system, digestive system, muscular system, and nervous system. This dependency excludes any possibility of a step-by-step, evolutionary development. In the concluding remarks about the skeletal system, Van de Graaff and Fox observed: “In summary, the skeletal system is not an isolated body system. It functions with the muscle system since it stores the calcium needed for muscular contraction and provides an attachment for muscles as they span the movable joints. The skeletal system serves the circulatory system by producing blood cells in protected sites” (p. 207). Truly, the skeletal system is overwhelming evidence for an Intelligent Designer. Muscles attached to bones are the driving force behind the skeletal system. The coordinated efforts of skeletal muscles allow the body to move in a variety of ways. The human body contains more than 600 muscles (see Netter, 1994), each of which is made up of millions of muscle cells. The primary function of muscles is to produce force and cause motion. This motion may come in the form of locomotion of body parts or internal movements such as heart beats or digestion. These efforts are accomplished between cross bridges using a “contractile system involving actin and myosin,” (Alberts, et al., 1994, p. 1175), two different kinds of filaments. (Oxford Companion..., 2001, p. 481). Most of the muscles in the extremities (arms and legs) are controlled voluntarily, whereas many muscles within the abdomen (i.e., heart, walls of the digestive system, etc.) are involuntary. These two distinct classes of muscle require different nervous innervation. Additionally, muscle tissue can be divided into six distinct types: smooth, fast skeletal, slow skeletal, and cardiac muscle for vertebrates and striated and smooth muscle tissues for invertebrates (Oota and Saitou, 1999, 16:856). Why did vertebrates evolve two additional muscle types? Do we have animals or fossils that demonstrate this transition? The evolutionary theory is unable to answer these questions. Figure 4: Actin and myosin filaments in the muscle fibers of the triceps muscle of the arm. Changesin conformation of myosin heads lead to interaction with actin filaments causing muscle contraction. Cardiac muscle is also an “involuntary muscle,” but it is a specialized kind of muscle found only within the heart. When this muscle type contracts it reduces capacity, ejecting blood out of the heart. Skeletal muscles, or “voluntary” muscles, are commonly anchored by tendons to bones and are used to affect skeletal movement such as locomotion. When these muscles contract they “move parts of the body via their attachments to bones, or produce tension to oppose stretch or even allow controlled lengthening” (Oxford Companion..., 2001, p. 481). The production of each muscle type is dependent on the fusion of myoblasts (precursors of skeletal muscle cells) in the presence of specific growth factors. Alberts and his colleagues described this process: “Each skeletal muscle is a syncytium and develops by the fusion of many myoblasts. Myoblasts are stimulated to proliferate by growth factors such as FGF, but once they fuse, they can no longer divide” (1994, p. 1179). How could primordial goo have recognized the need for, and manufactured, different types of muscles? 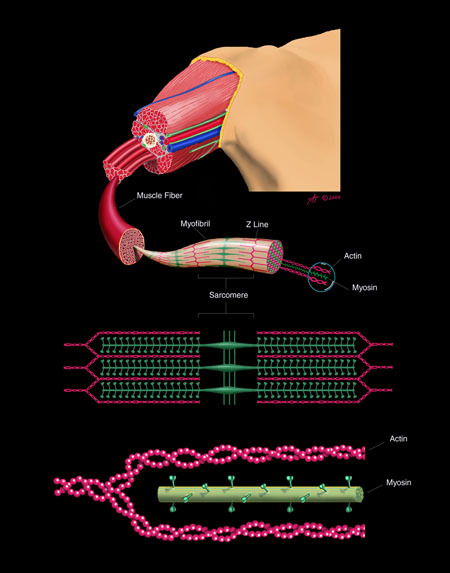 Muscle contraction is produced by the sliding of actin filaments against myosin filaments. The head regions of myosin molecules, which project from myosin filaments, engage in an ATP-driven cycle in which they attach to adjacent actin filaments, undergo a conformational change that pulls the myosin filament against the actin filament, and then detach [see Figure 4—BH]. This cycle is facilitated by special accessory proteins in muscle that hold the actin and myosin filaments in parallel overlapping arrays with the correct orientation and spacing for sliding to occur. Two other accessory proteins—troponin and tropomyosin—allow the contraction of skeletal and cardiac muscle to be regulated by Ca2+ (1994, p. 858). Surely, one cannot consider the complexity of this contractile system on both the macroscopic and microscopic levels without realizing the statistical impossibility of all of these proteins assembling by random chance. But, in addition to this complicated cascade, evolutionists also must explain why invertebrates possess a form of actin different from that of vertebrates. Vandekerckhove and Weber described their research, noting: “The results show that most, if not all, invertebrate muscle actins are homologous to each other and to the isoforms recognized as vertebrate cytoplasmic actins. In contrast the actin forms typically found in muscle cells of warm-blooded vertebrates are noticeably different from invertebrate muscle actins and seem to have appeared in evolution already with the origin of chordates” (Vandekerckhove and Weber, 1984, 179:391, emp. added). Identifying a new form of actin and speculating where it fits in the evolutionary tree of life does little to explain how and why this new form arose in the first place. Could it not be that vertebrates were created from the beginning with a different form of actin? Body Support and Posture—One of the most often overlooked sets of muscles in the body is the deep erector spinae muscles of the back. While the bony skeleton provides a rigid framework for the body, without these skeletal muscles, upright posture would be unattainable. Many muscles work in concert to counter the effects of gravity. Heat Production—One of the least considered roles that muscles play is thermoregulation. (Metabolism, which is the conversion of sugar into energy, releases heat as a byproduct.) Muscles constitute approximately 40% of the body’s mass (Van de Graaff and Fox, p. 291), and therefore are critical in the production of heat. Consider the physiological difficulties that would result if the body was unable to maintain a temperature necessary for the growth and proliferation of cells. During normal, relaxed inspiration, the important muscles are the diaphragm, and the external intercoastal muscles. A contraction of the dome-shaped diaphragm downward causes a vertical increase in thoracic dimension. A simultaneous contraction of the external intercostals produces an increase in the lateral dimension of the thorax (p. 324). These muscles are vital to respiration, and yet they are dependent on oxygenated blood, which comes from the circulatory and respiratory systems. Can evolutionists present a step-by-step scenario that allows these two systems to “evolve” without the other system being in place? A close inspection reveals that both systems are needed (along with actin and myosin, ATP, etc.) for life. So exactly how did all of these systems come together to allow for proper respiration? The evidence unequivocally points to a Designer! Human locomotion is dependent on interactions between numerous bodily systems. 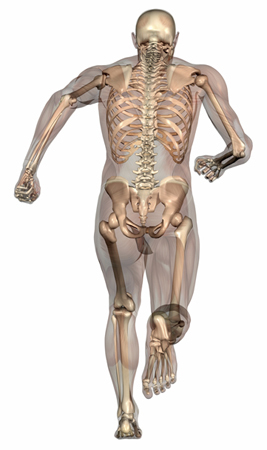 The human skeletal system was designed to be able to withstand a variety of movements while carrying the weight of the entire body. The detailed complexity of muscle contraction, bone formation, and biped locomotion demands a designer. Special skeletal facets are needed for precise muscle attachment. A vast network of blood supply and various minerals are required to maintain bone growth and density. Given the intense complexity, the only possible explanation is that a Master Orchestrater formed this entire system. Today, a large percentage of the population places their faith in science. It has become a modern-day Baal that many worship—either consciously or subconsciously. Christianity has been cast as an “activity” for uneducated imbeciles, and is attacked from every angle in our society. The mainstream media delights in reminding society about the battle between science and religion, often portraying Bible-believing Christians as ignorant and uniformed. However, the media has painted a war that does not exist. The concepts of science and God are not in conflict—as God is the author of science. The two fit like a hand in a glove. The very definition of “science” is having knowledge or obtaining knowledge about a specific area. The more one truly learns about the inherent design and complexities of this world, the more one realizes the necessity of the Intelligent Designer. When the human body is given full consideration, the only rational conclusion is that it is the product of a Higher Power. Real science is like a beacon that points back to Jehovah God. Consider how many animals can gather together to sing a song that was composed by an individual who obtained pen and paper, wrote musical notes to be sung in harmony, and words to tell a meaningful story. Surely we cannot overlook the uniqueness of man. More than 30 years of experimentation on the origin of life in the fields of chemical and molecular evolution have led to a better perception of the immensity of the problem of the origin of life on Earth rather than to its solution. At present all discussions on principal theories and experiments in the field either end in stalemate or in a confession of ignorance (1988, 13:348). A fair-minded individual searching for the truth can be sure that the human body was designed by an intelligent Designer. That intelligent Designer is the one, true, living God. Alberts, Bruce, Dennis Bray, et. al, (1994), Molecular Biology of the Cell (New York, NY: Garland Publishing), third edition. “Bone Morphology” (2006), Encyclopedia Britannica, [On-line], URL: http://www.britannica.com/eb/article-41884. Brand, Paul and Phillip Yancey (1980), Fearfully and Wonderfully Made (Grand Rapids, MI: Zondervan). Cannatella, David (2001), “Skeleton: The Skull,” [On-line], URL: http://www.lifesci.utexas.edu/courses/bio478L/LecturesPDF/skull.pdf. Dose, Klaus (1988), “The Origin of Life; More Questions Than Answers,” Interdisciplinary Science Reviews, 13:348-356. Gillen, Alan (2001), Body By Design (Green Forest, AR: Master Books). Glicksman, Howard (2003), “Hamlet Meets Modern Medical Science,” [On-line], URL: http://www.arn.org/docs/glicksman/eyw_031104.htm. “Healthy Bones: How to Make Strong Bones,” (no date), Center for Disease Control, [On-line], URL: http://www.cdc.gov/powerfulbones/boneup/h owdo_print.html. Miller, Benjamin and Ruth Goode (1960), Man and His Body (New York, NY: Simon and Schuster). 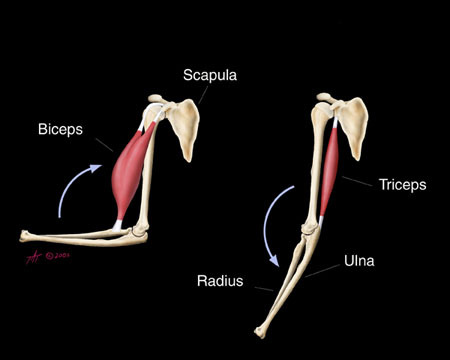 “Muscles and Bones,” (2000), National Space Biomedical Research Institute, [On-line], URL: http://www.nsbri.org/Education/MuscleUnit.pdf. Oota, Satoshi and Naruya Saitou (1999), “Phylogenetic Relationships of Muscle Tissues Deduced from Superimposition of Gene Trees,” Molecular Biology and Evolution, 16:856–867. Oxford Companion to the Body (2001), ed. Colin Blakemore and Shelia Jennett (Oxford, UK: Oxford University Press). Ruben, John A. and Albert A. Bennett (1987), “The Evolution of Bone,” Evolution, 41: 1187-1197, November. Stewart, Robert Charles (2005), “The Story of Human Evolution,” Shattering the Sacred Myths, [On-line], URL: http://www.evolutionary-metaphysics.net/evolution_of_humankind.html. Vandekerckhove, J., and K. Weber (1984), “Chordate Muscle Actins Differ Distinctly From Invertebrate Muscle Actins. The Evolution of the Different Vertebrate Muscle Actins,” Journal of Molecular Biology, 179:391-413, November 5.